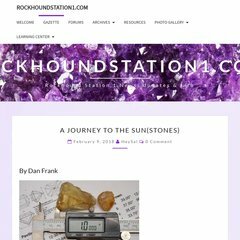 rockhoundstation1.net The RockHoundStation1™ Gazette » Blog Archive » Gold ..
rockhoundstation1.net The RockHoundStation1™ Gazette » Blog Archive ..
Rockhoundstation1.net's IP address is 77.232.66.65. ns2.servage.net, ns3.servage.net, and ns4.servage.net are some of its 4 Nameservers. PING www. (77.232.66.65) 56(84) bytes of data.